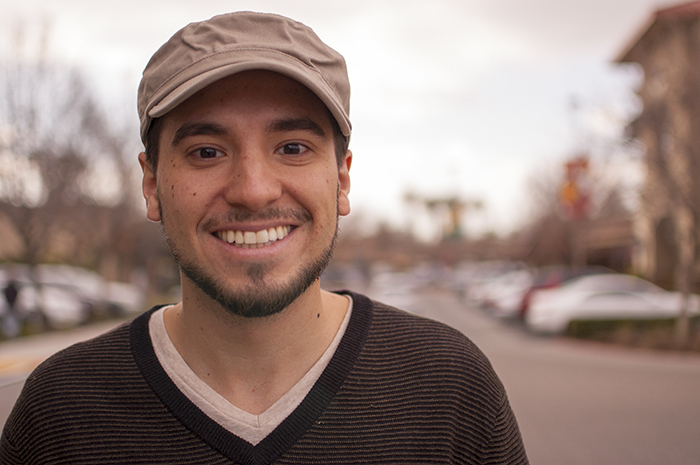 When he’s not watching movies, writing, or volunteering for Filmworks, you can find Satch Gonzales working the chair massage table at Whole Foods in Fig Garden Village. Occupation: For the past five years, Satch has worked as a self-employed certified massage therapist. A big part of his business is doing chair massage at Whole Foods in Fig Garden Village. He can do specialized massage for relaxation, deep tissue, and sports injuries, among other modalities. Filmworks thanks all of our December 2015 volunteers: Frank Dougherty, John Dunning, Richard Flores, Trin Gibney, Megan Ginise, Satch Gonzales, Neal Howard, Andy Julian, Yvette Mancilla, Richard Markley, Monica Marks, Gene Richards, Richard Stone, Sky Sweet, Lorraine Tomerlin, Jon Veinberg.